As a business owner, you are constantly investing efforts to make your website as SEO-friendly as possible. An aim to rank high on search engine results cannot be fulfilled just by following one or two SEO techniques. To completely benefit from your SEO efforts, there are numerous activities you might have to conduct to see a remarkable improvement in the ranking of your website. One such activity that holds undue importance in terms of SEO is outbound links. The significance of link building is known to all webmasters and is followed by those who want to scale up their website ranking on search results. These are ones that point to another domain from your website. With this, you are actually connecting your page to related domains, making it easier for search engines to clearly understand your niche. This, in turn, betters the trust and quality of your site, proving to be beneficial for SEO. With outbound linkage, it is possible to achieve an inflow of targeted visitors, improving chances of conversion. This is an effective way to stay in touch with bloggers of the same niche. It is important for you to know about Google related link operator as this is what shows you links that are relevant to your site according to the search engine. 1. 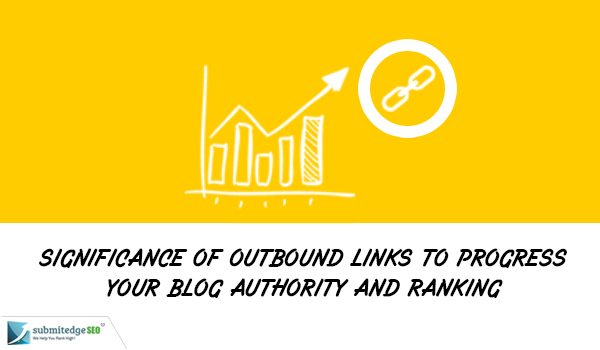 To get outbound linkage for your blog, you do not need to connect with bad blogs or sites that are banned. Search engines keep a track of this and can help you in this matter. It is important that you connect to blogs that belong to the same niche. The benefit with this is that you are bound to attract targeted audiences to your blog. As they come in from a blog from a similar niche, there are higher chances of them liking the content on your page. Make it a point to connect to domains with a reliable reputation and high domain value, keeping you in the good books of Google. 2. Stay miles away from link farms. Beware of online services that provide you with an assurance that they will bring in many outbound linkages for you. The issue with this is that it is hard for you to know where your blog is being linked. Also, you might not know if that linked blog is relevant to your blog. If such a service connects you to a bad website or blog, there is a possibility of your site to be banned by search engines. Ensure to steer clear of two-way backlinks. Do not connect to any domain that is part of a private blog network. Google is now devaluing associations of all these private blog networks. 3. Even though having outbound linkage is essential, know where to stop. Too many can really annoy the reader. Instead, move your focus to internal linking and only join out to a few websites relevant to your page. Keep the linking limited to a few and relevant blogs only, as this will ensure a smooth reader experience. More than anything make your content is useful and work on on-page optimization. 4. Stick to a give-and-take policy. You do something for someone else and you get the favor in return. If you refer to another author’s blog post in your post, provide the link in your post. Once this is done, you can ask for one in exchange with the other blogger. This exchange works wonders to attract targeted traffic to both blogs. 5. Having mentioned all of this, you might be wondering as to which are the right places for you to join out. To give reference or explanation in the post, you can link complicated words to dictionary words or Wikipedia. Ensure to connect to pages that increase the value to your page and include the topic well. Connect to successful blogs that have good PR. Connect to bloggers in your network or in your niche which makes it possible to create a community with fellow bloggers. 6. Make it a point to have outbound links open in a new tab, taking the bounce rate into consideration. There are a few plugins like Zemanta that helps improve the quality of outbound links from your website.